Driving is an easy way to get around Liechtenstein. Liechtenstein has good roads, though roadworks are a persistent disruption throughout the week and weekend, and the lack of alternative routes can mean long, backlogged detours. There are no motorways in Liechtenstein. Major international car hire companies, such as Sixt (www.sixt.com) and Avis (www.avis.ch) are represented, along with a number of local car hire companies. Registered taxis are available for hire throughout Liechtenstein, and all are fitted with meters. However, fares are very high, with a premium on journeys that cross borders. 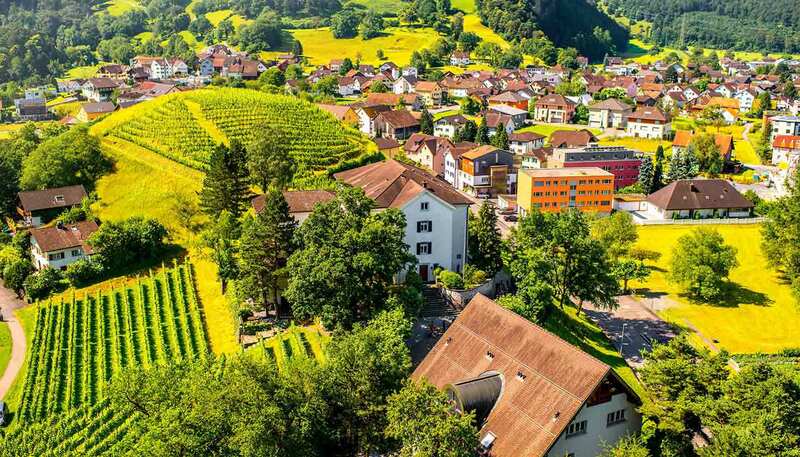 As Liechtenstein is a small and green country, bicycles are an excellent way to get between the towns. As well as cycling on the road, there are more than 100km (62 miles) of cycle paths – though if you wish to venture off these, you need a good mountain bike. It's possible to hire bikes at the Liechtenstein Centre in Vaduz. Due to the size of the country, there are no coach routes, only scheduled bus routes. The speed limit is a torturously slow 50kph (31mph) throughout Liechtenstein – up to 80kph (50mph) for some very short stretches – and this is enforced with heavy fines and even imprisonment. During winter, all cars require winter tyres, and if you plan to leave the main road, you need snow chains too. Drivers and passengers are required to wear seat belts. Both the AA (www.theaa.com) and RAC (www.rac.co.uk) cover Liechtenstein as part of their European travel packages. A full national driving licence is required. For buses in Liechtenstein, you can get a single ticket, a one-day ticket (equivalent in price to two single tickets) and a weekly ticket. The fee varies according to how many zones you travel through. There are limited rail routes within the country – buses are the easiest way to get around.